GIA’s clarity grade scale is the industry standard for determining the clarity of a diamond. Clarity is a critical factor in determining the price of a diamond. 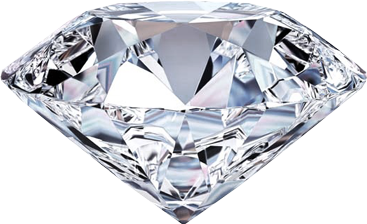 Diamond Clarity ranges from Flawless to I3 (or included 3). Consider diamonds that have clarity grade of SI2 or higher for under 1 carat stone and SI1 or above for 1.5ct or above. Avoid SI2 diamonds that have clarity grade solely based off clouds as they look ugly. Clouds in VS clarity grade diamonds should not be an issue! Clarity of mind, clarity of soul, clarity of expressions, clarity of immersions, and now clarity of diamonds. All of the above sound very similar except for the relation between clarity and the subject following it. The word clarity in itself is quite self-explanatory. In the case of a diamond, clarity is very important. The ability of diamond to sparkle comes from its purity which allows the light rays to cross through it producing a rainbow and similar patterns of sparkle. Therefore, the consistency, properties and presence or absence of inclusions will count for the difference of clarity in diamonds. Clarity actually summarizes the outside appearance of the internal being of a diamond. Since diamond goes through a long birth process, most diamonds have birth marks on the surface leading to surface defects known as blemishes or internal defects called inclusions. There are different types of inclusions including cloudy inclusions, pinpoint inclusions, cavities, cleavages and so on. Moreover, there are different types of blemishes like nicks, pits and breaks etc. Almost all diamonds will have some of these clarity issues since it toke millions of years for them to form as well as due to the cutting process which is very intense. Some of the clarity issues would be microscopic while others are macroscopic. This is where the difference arises and hence the market value and demand variation of different diamonds. There are different grades of clarity of diamonds that you will come across while searching for a good diamond. Clarity grades by GIA range from FL to I3, where FL stands for Flawless diamond that has no inclusions and is the best diamond clarity while I3 is the lowest grade of diamond clarity that has inclusions visible through an unaided eye. There are clarity enhancement techniques available in the market that can be helpful in uplifting the quality of a diamond, and most of such treatments are permanent. One such treatment is called “fracture filling diamonds” that improves the clarity of a diamond by filling the breaks or problems in the diamond. Sometimes laser may also be used for such treatments. To us at Petra Gems, we do not deal clarity enhanced diamonds at ALL. One of the main factors why diamonds are expensive is because they are natural, and once we alter that quality of a diamond, to us, it changes the nature of that diamond - it's not natural anymore! In conclusion, clarity is a relative term and very few diamonds would be FL or inclusion free. Choose a diamond that you like, which sparkles best and is affordable. Stay above SI2 GIA/AGS color grade. Avoid diamonds the clarity of which is severally affected by clouds! Inclusions in a diamond are its birthmarks and are some of the most important factors in confirming a diamond based off a GIA or AGS report if the diamond has no laser inscription. Some people actually prefer VS and SI diamonds to Flawless diamond due to this fact!